Fat Freezer Slim & Contour Sculpting Gel helps by massaging your cellulite and problem dimpled areas. Lightweight warming gel easily absorbs in the skin to help feel tighten, toned and firm on tummy, hips, abdomen, hips, thighs, upper arms, body. 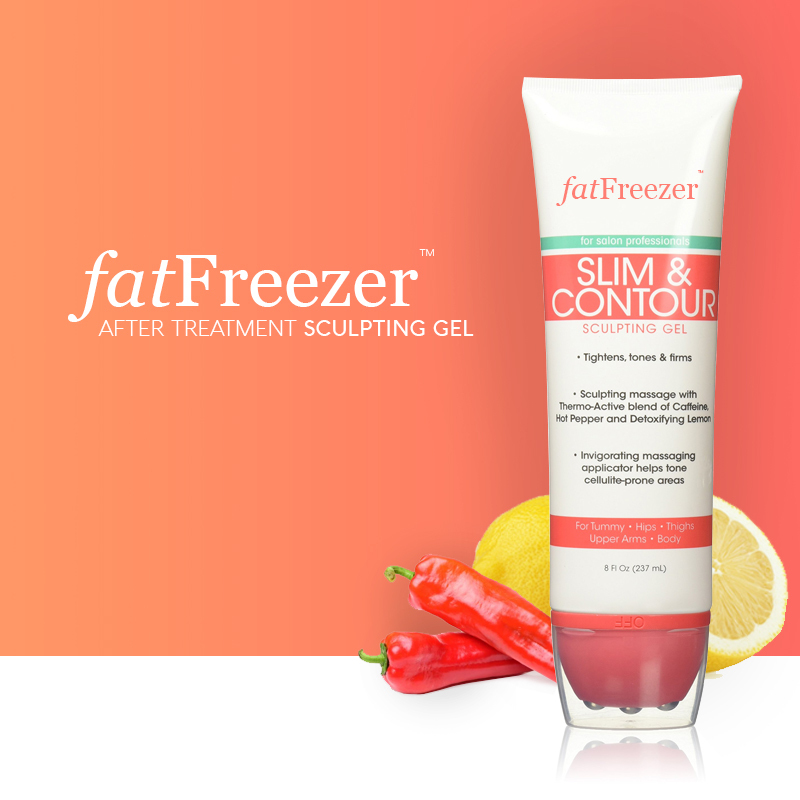 See results with this powerful blend of thermo-active ingredients including caffeine, hot pepper and detoxifying lemon. Antioxidant formula with organic ingredients and natural ingredients helps in your fight with the battle of the bulge.